Reading CC U 15's 134 for 8. Reading won by 37 runs. Great batting and bowling performance with runs and wickets shared across many different players. Unfortunately, Ollie sustained an injury whilst wicket-keeping and was taken to hospital with a broken thumb. Best wishes from all of the team for a speedy recovery. 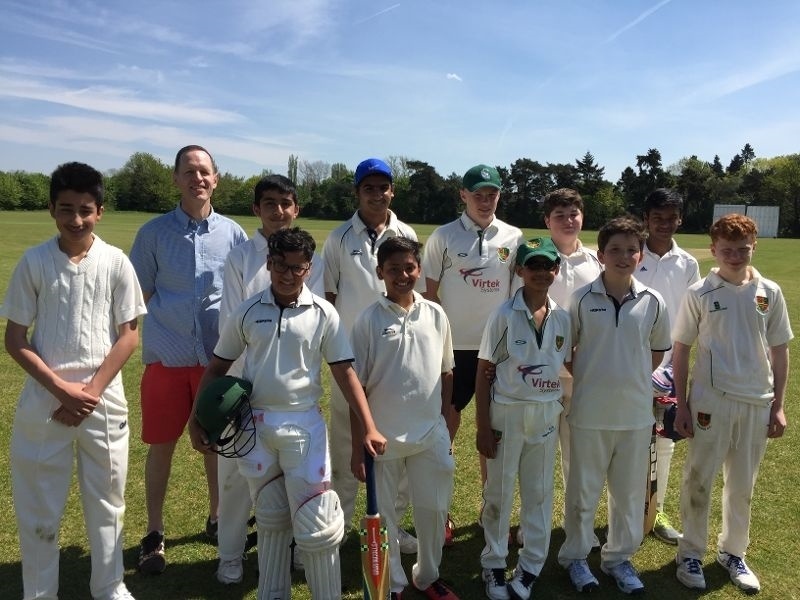 Reading CC - Under 15 won the toss and decided to bat.